The sun isn’t always your skin’s friend, it’s important to protect yourself from harmful UVA/UVB rays. 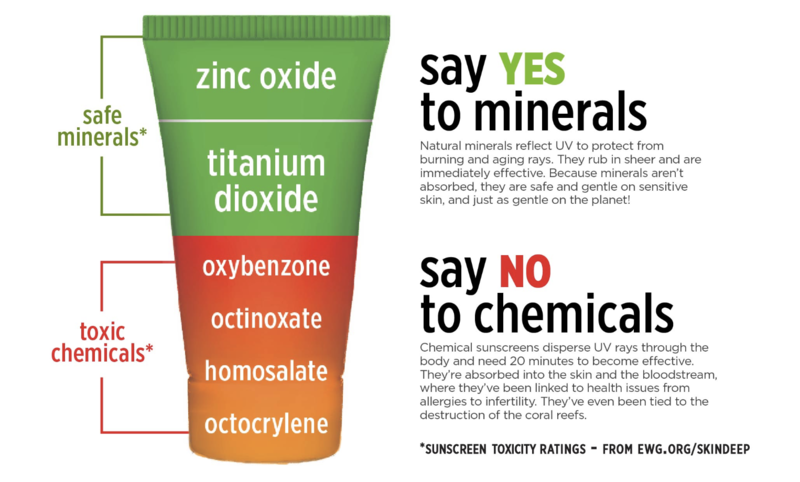 But lathering up in chemical rich sunscreen could also be doing your skin more harm than good. Our skin begins to absorb what we put on it in just 26 seconds, including the chemicals used in conventional sunscreens. Oxybenzone, avobenzone, octinoxate, octisalate, homosalate and 4-methylbenzylidene camphor are the chemicals to watch out for, many of which are known hormone disruptors, carcinogens and are tied to destruction of coral reefs. These chemicals absorb the harmful rays into your skin, break them down into heat, and dissipate the heat from your skin into the air. Natural, mineral-based sunscreens contain ingredients Zinc Oxide and Titanium Dioxide which create a barrier on your skin which scatter and reflect broad spectrum UVA/UVB rays instead of absorbing them. They’re also safe for your skin and are coral reef friendly! It’s time to soak up some sun minus synthetics. 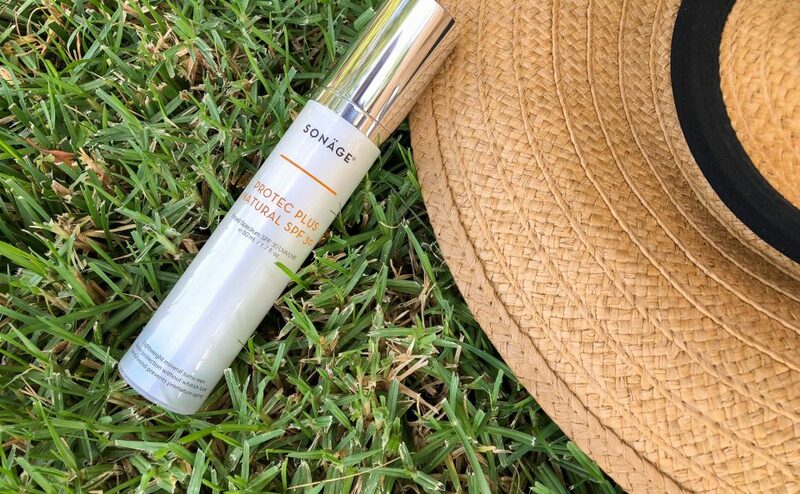 Ultraviolet light can be damaging to your skin on even the cloudiest of days, so whether you’re headed to the office or to the beach, don’t forget your SPF. Sunscreen should always be applied after your moisturizer but before your makeup. … it is more effective to pat natural sunscreen on the skin, rather than rubbing it in; this results in a more even application and less skin irritation.